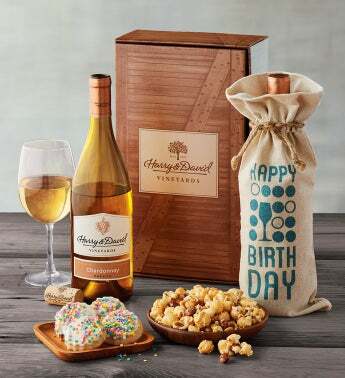 Wish them a happy birthday with a delightful gift from Southern Oregon. Our 2017 Chardonnay, crafted here in the heart of Oregon wine country, is a special treat that we've packed in a reusable linen wine bag. Alongside it are treats such as Moose Munch® Premium Popcorn from our candy kitchen and confetti shortbread cookies from our bakery to create a wonderful surprise.